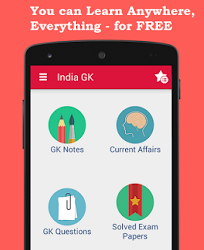 23, 24 November 2017 Current Affairs MCQs, Quiz, Questions: Current Affairs for November 2017, Daily Multiple Choice Questions (MCQs) for India GK, World GK and current affairs with Collection of daily objective type Question by www.Indiagk.net based on General Knowledge (GK) and General Science (GS) Questions for UPSC, State PSC, SSC, Police exam, Railway exam, SBI, Bank PO, IBPC, SSC, LDC, UDC, Army, Airforce, Navy, Coast Guard, Bank Clerk, TET and all entrance examination with current affairs News, Multiple Choice Questions (MCQs) available on Website www.IndiaGK.net and Android Apps with daily updates:. Government on 22nd November approved which new Scheme to empower rural women through community participation? BrahMos missile was successfully test fired from which jet on 23rd November? PM inaugurate 5th Global Conference on Cyberspace in which city? Winter session of parliament to begin from which date? Explanation: Cabinet Committee on Parliamentary Affairs met on 24th November decided to call the winter session starting on the 15th December 2017. It will wrap on the 5th of January session will witness 14 days proceedings. Apart from weekends, only 25th and 26th of December will be holidays. The government is targeting tabling and passage of a bill to outlaw triple talaq during the winter session after Supreme Court made it illegal. Congress's Leader in the Lok Sabha Mallikarjun Kharge said they also want discussions on GST implementation, demonetisation, GDP and others during the session.